The following are the latest results contributed by HM Courts Service, for cases sentenced by West Sussex Magistrates’ Court sitting at Worthing from February 28 to March 9, 2018. Benjamin Lamb, 25, of Fairfield, Broadwater Road, Worthing, was given a three-month prison sentence, suspended for 12 months, with Rehabilitation Activity Requirement after admitting stealing a £500 bicycle at Horley Railway Station on May 10, 2017. He was given a three-month concurrent prison sentence, suspended for 12 months after admitting stealing a £400 bicycle at Hassocks Railway Station on May 22, 2017. 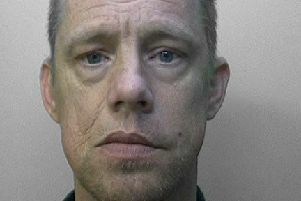 He was given a three-month concurrent prison sentence, suspended for 12 months after admitting stealing a £600 bicycle at Hassocks Railway Station on May 22, 2017. He also admitted possessing 68.78g of cannabis in Worthing on October 4, 2017, no separate penalty. He must pay £115 victim surcharge. James Wilson, 33, of Willow Crescent, Worthing, was fined £76 and must pay £100 compensation, £30 victim surcharge, £250 costs, after admitting assault by beating in Worthing on September 24, 2017. Katie Brown, 30, c/o Radnor Road, Worthing, admitted breaching a community order, which was revoked. She was dealt with for the original offences, receiving a three-month prison sentence, suspended for 12 months, with Drug Rehabilitation Requirement, for damaging a glass door panel at McColl’s, Goring, on July 31, 2017; and a three-month concurrent prison sentence, suspended for 12 months, for assaulting a police constable in the execution of his duty in Strand Parade, Goring, on July 31, 2017. Karim Esnail, 40, of Grove Place, Doncaster, was given a community order and must carry out 200 hours’ unpaid work after being found guilty of supplying illegal tobacco products, which did not carry the required health warnings, in Worthing on August 24, 2016; three charges of supplying illegal tobacco products, which did not carry the required health warnings, in Worthing on August 25, 2016; and failing to act with due care as a distributor by possessing tobacco products which he should have known were dangerous. He was also found guilty of recklessly engaging in commercial practice as a trader in Worthing on August 25, 2016. Mateusz Cieslak, 30, of The Drive, Hove, was given a community order and must carry out 40 hours’ unpaid work after admitting drug-driving (>10ug/l Delta-9-THC) in Windmill Parade, Southwick, on January 1, 2018. He also admitted drug-driving (71ug/l MDMA) in Windmill Parade, Southwick, on January 1, 2018; and possessing cannabis in Southwick on January 1, 2018, no separate penalties. He must pay £85 victim surcharge, £85 costs, and was disqualified from driving for 24 months. John Clifton, 57, of The Roystons, East Preston, was fined £182 and must pay £30 victim surcharge, £85 costs, after admitting driving without due care and attention at Yapton Level Crossing on September 8, 2017. He must pay £30 victim surcharge, £85 costs, and his driving record was endorsed with nine points. Dumitru Erimia, 36, of Talbot Road, Littlehampton, was fined £500 and must pay £50 victim surcharge, £85 costs, after admitting drink-driving (64mg of alcohol in 100ml of breath) in Felpham Way, Bognor Regis, on February 18, 2018. He was disqualified from driving for 17 months. Liam Lynch, 28, of Rope Walk, Littlehampton, was fined £120 and must pay £40 victim surcharge, £85 costs, after admitting drink-driving (85mg of alcohol in 100ml of breath) in Offington Lane, Worthing, on February 18, 2018. He was disqualified from driving for 22 months. George McMillan, 21, of Foxes Croft, Barnham, was fined £120 and must pay £30 victim surcharge, £85 costs, after admitting drink-driving (51mg of alcohol in 100ml of breath) in Canada Grove, Bognor Regis, on February 17, 2018. He was disqualified from driving for 15 months. Eduardo Correia, 46, of Horsefield Bungalows, Old Mead Road, Littlehampton, was fined £548 and must pay £56 victim surcharge, £85 costs, after admitting drink-driving (65mg of alcohol in 100ml of breath) in Terminus Road, Littlehampton, on February 16, 2018. He was disqualified from driving for 18 months. Krzysztof Szwaja, 55, of Binsted Lane, Binsted, was fined £334 and must pay £33 victim surcharge, £85 costs, after admitting failing to provide a specimen for analysis when required in Chichester on February 18, 2018. He was disqualified from driving for six months. Aaron Gershek, 27, of Sutton Road, Seaford, was given a community order and must carry out 50 hours’ unpaid work after admitting driving while disqualified on the A27 Sompting on October 23, 2017. He must pay £85 victim surcharge, £85 costs, and was disqualified from driving for nine months. He also admitted driving without insurance, no separate penalty. Lewis Price, 22, of Downsway, Southwick, was given a community order with Rehabilitation Activity Requirement and must carry out 50 hours’ unpaid work after admitting taking a vehicle without consent in Southwick on December 23, 2017. He must pay £85 victim surcharge, £85 costs. He also admitted failing to provide a specimen for analysis when required in Durrington on December 23, 2017; and driving without insurance in Oakapple Road, Southwick, on December 23, 2017, no separate penalties. Ryan Bennett-Morris, 18, of Stafford Road, Croydon, was fined £80 and must pay £30 victim surcharge after admitting possessing 6.44g of cannabis in Worthing on February 25, 2017. Amy Herbert, 21, of Parkside Avenue, Littlehampton, was given a community order and must carry out 40 hours’ unpaid work after admitting failing to provide a specimen for analysis when required in Worthing on January 31, 2018; and assaulting a police constable in the execution of her duty in Worthing on January 31, 2018. She must pay £85 victim surcharge, £85 costs, and was disqualified from driving for 16 months. Georgina Edwards, 47, of Selborne Road, Littlehampton, was given a community order and must carry out 100 hours’ unpaid work after being found guilty of assault causing actual bodily harm, carried out jointly in Littlehampton on December 18, 2016. She must pay £100 compensation, £85 victim surcharge, £310 costs. Ian Hedge, 50, of Selborne Road, Littlehampton, was given a community order and must carry out 180 hours’ unpaid work after being found guilty of assault causing actual bodily harm, carried out jointly in Littlehampton on December 18, 2016. He must pay £100 compensation, £85 victim surcharge, £310 costs. Michael Hayes, 60, of Limbrick Close, Goring, was given a community order with 12-week curfew, electronically monitored, from 9.30pm to 7.30am daily, after admitting dishonestly failing to promptly notify Worthing Borough Council of a change in circumstances, namely self-employment, affecting Housing Benefit between July 7, 2014, and April 4, 2015; dishonestly making a false statement to the DWP with a view to obtaining Employment and Support Allowance on November 26, 2015; dishonestly making a false statement to the DWP with a view to obtaining Jobseekers Allowance on September 1, 2015; and dishonestly making a false statement to the DWP with a view to obtaining with a view to obtaining Employment and Support Allowance on October 1, 2014. He must pay £60 victim surcharge, £200 costs. Ahmet Ayhan, 30, of Charlton Road, London, was fined £346 and must pay £34 victim surcharge, £320 costs, after being found guilty of failing to identify a driver when required by police in Shoreham on April 27, 2017. He was disqualified from driving for six months.